When you are dealing with a death in the family, you know that you have to keep your calm, gather yourself and start making all the arrangements for the funeral service. You will have to inform your other relatives as well as close family friends and friends of the deceased, about the death and of course you have to look for a funeral home that will be able to provide you the kind of services you need. Then there are things like transportation etc that have to be organised to. While all these things are unavoidable, if you are on a tight budget, you might wonder how much all this would cost you. Some service providers handle every single detail, but they have very exorbitant rates. This is where Heavens Own is different. We provide high quality services but hardly anyone can match the rates we charge for our cheap funerals in Newcastle. We are a very reputed service provider in this space and are highly focused in our approach to providing customers the best services at the lowest costs. While we provide cheap funerals in Newcastle, you will find that we are very meticulous in our approach to our work. We work in a very concerted manner and ensure that you get the kind of services you need, exactly when you need them. We understand that death isn’t something that announces its arrival and can come at anytime. Sometimes you may need our services at an odd hour and that is why we provide 24/7 services. This ensures you don’t have to run around from pillar to post looking for a provider that will offer you cheap funerals in Newcastle. We provide services for different religions and cultures and ensure that you receive the best and cheap funerals in Newcastle. You will find that all our staff members are highly dedicated and very supportive and ensure that the entire service progresses in a seamless manner. 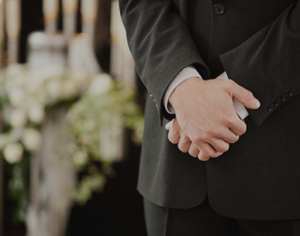 With years of experience behind us, we know what it takes to provide cheap funerals in Newcastle without compromising on the quality of the service we provide. If you want to know more about our services, you can contact us using this Web Form. On the other hand if you prefer to speak with us- you can call the Heavens Own funeral experts at this number- 02 9002 7344 and explain your requirement in detail.